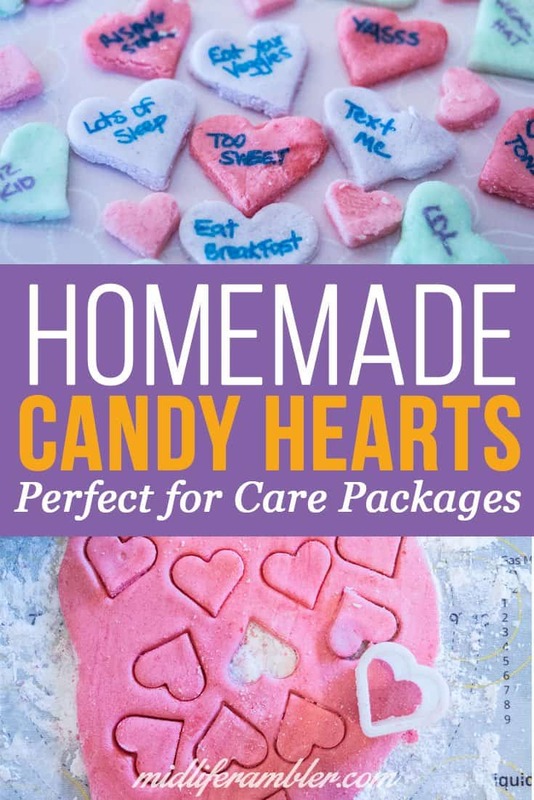 You guys, this is how sure I am that none of my kids read my blog: I’m sharing today the Valentine’s treat I’ll be sending them in a week or so with full confidence that publishing what I plan to do on the Internet will in no way spoil their surprise. It’s ok they don’t read Midlife Rambler, of course. It’s not for them, it’s for us – the Moms of college students. So I wanted to show you a Valentine’s Day Gift your kids will love. 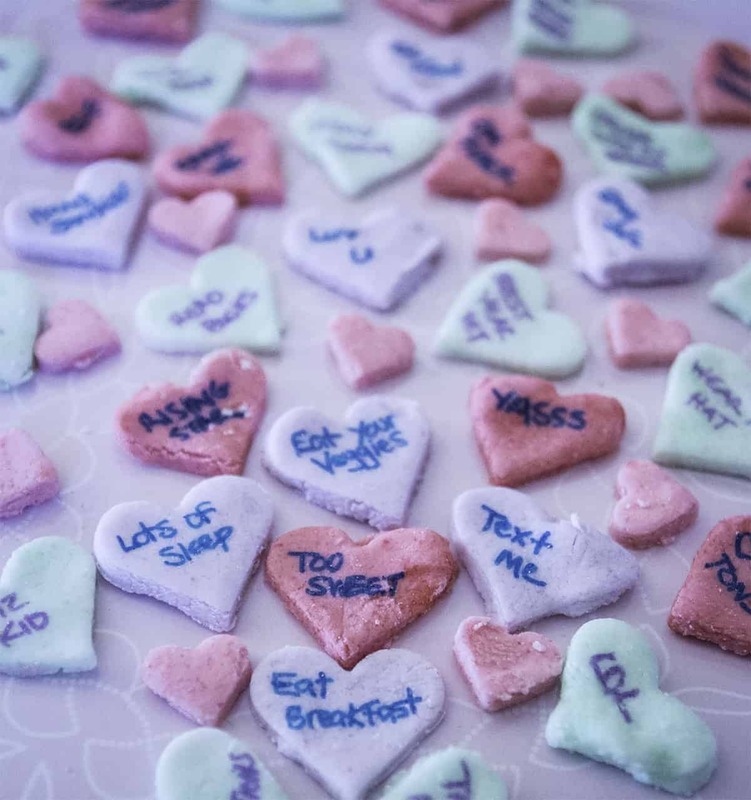 These candy hearts taste even better than the store-bought kind (seriously, I’ve had to get on to my husband a couple of times to stop eating them) and you can add your own personalized Mom message. I decorated mine with important reminders such as, “Brush Your Teeth”, “Floss Daily”, and my personal favorite, “Phone Home. This isn’t a 15-minute project. Cutting out the hearts is a bit tedious and you really need to let them dry for at least 24 hours or your message will bleed into the candy and be unreadable. But they’re super-cute and delicious and coming up with the sayings on the hearts is a fun way to give out all the advice you’ve been holding inside. I based this recipe on one I found from Alton Brown but I made a few changes to make things a bit easier. I’ve included links to for the project supplies at the end of the post but you can find most of this at the grocery store. Add 2 cups of water to a medium pot and bring to a simmer. Wisk in the corn syrup and the salt and then hold the mixing bowl over the simmering pot and stir until the gelatin is completely dissolved. Add the powdered sugar to your gelatin mixture 1 cup at a time. 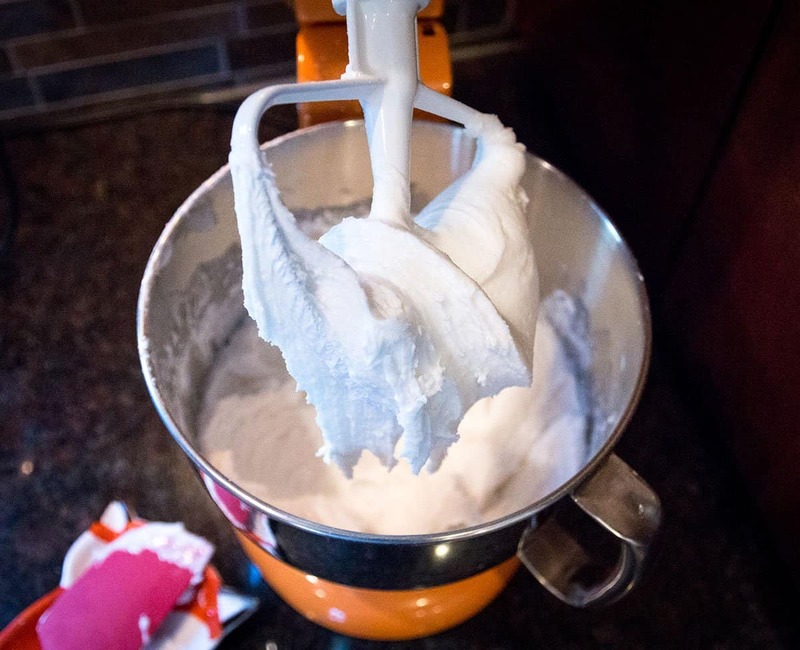 Your mixture will gradually go from a runny liquid to a dough like playdough. Keep adding the powdered sugar until your batter reaches playdough consistency and then (very important! ), ADD ANOTHER HALF A CUP OF POWDERED SUGAR. At this point, your mixer is probably really straining. You want a dough that’s thick and easy to work with, but not so sticky it clings to everything. It took about 8 ½ cups of powdered sugar for my dough to get to this stage. Knead the dough until smooth. If you used a paddle attachment on your mixer to create the dough you probably only need to knead the dough enough to shape into a ball. Divide your dough into 3 or 4 sections. 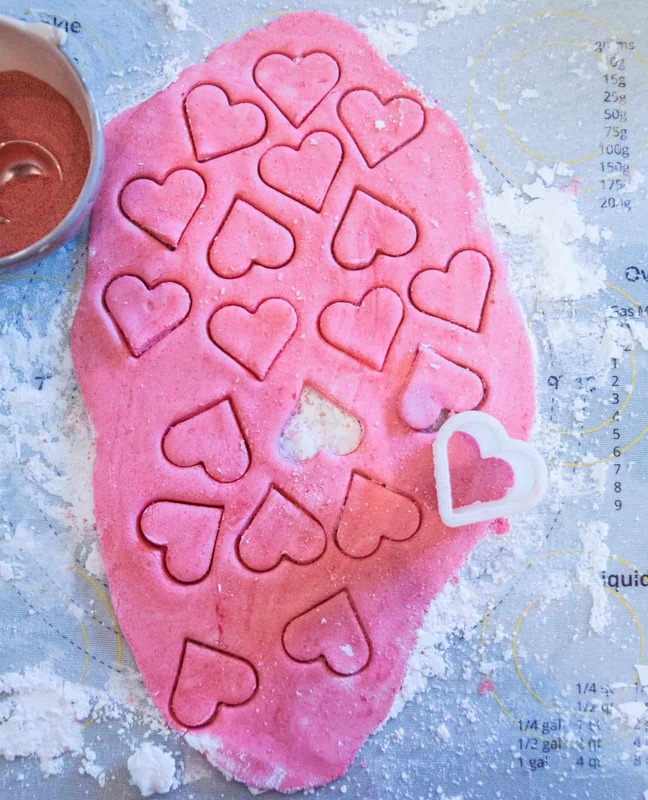 You’ll start by working with the first section and you don’t want the rest of the dough to dry out so wrap each section individually in plastic wrap until you’re ready to use it. Now it’s time to add some color and flavor! Make a deep indentation into your ball of dough and the dry flavored gelatin mix and a bit of water. For darker flavors such as the green or raspberry, 2 TSPs of flavored gelatin with ½ TSP water should work just fine. The grape flavor was a bit lighter in color and so I doubled that to 4 TSPs with 1 TSP water. Knead the dough until the flavored gelatin is nicely mixed and your dough is a uniform color. You can always add a bit more flavored gelatin if you want to make the color deeper. 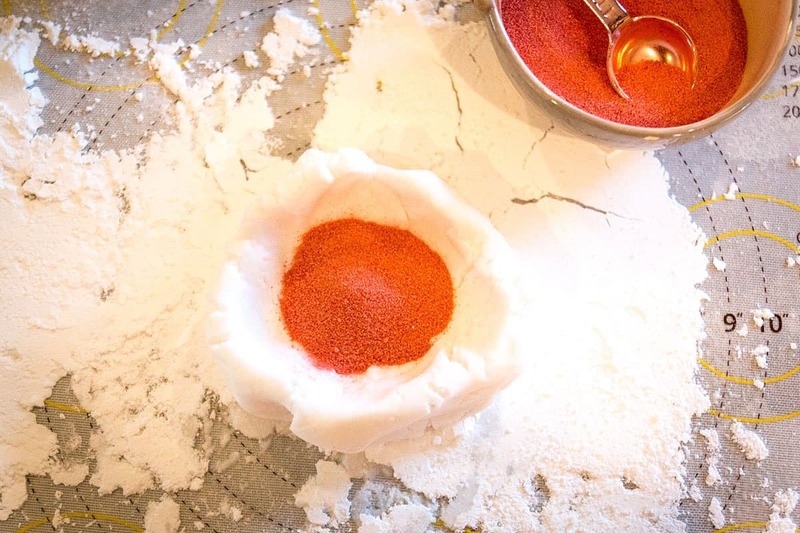 When you’re happy with the color of your dough, sprinkle your pastry mat or a piece of parchment paper with powdered sugar and roll the dough out to a ¼ inch thickness. 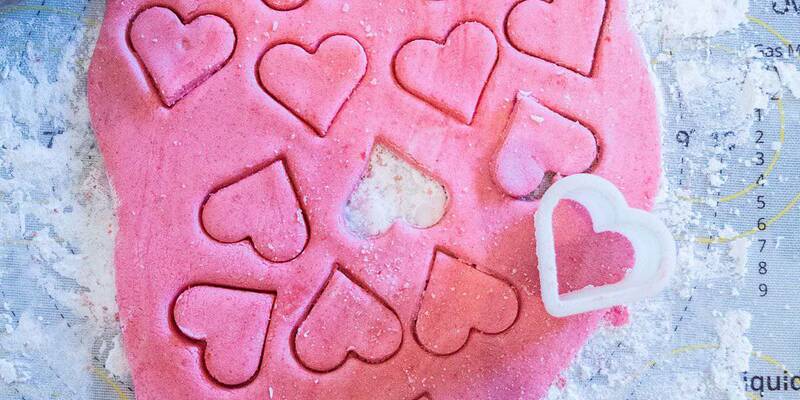 Cut out your hearts with your cookie cutter and place on baking sheets lined with parchment paper to dry. THIS PART IS REALLY IMPORTANT! Let your hearts dry for at least 24 hours before writing your cute sayings on them. If you try to write on your hearts before they are completely dry, it will turn into a blurry mess and you will cry. Believe me. I know. Complete each section of your dough with the colors and flavors you want and then walk away until the next day. 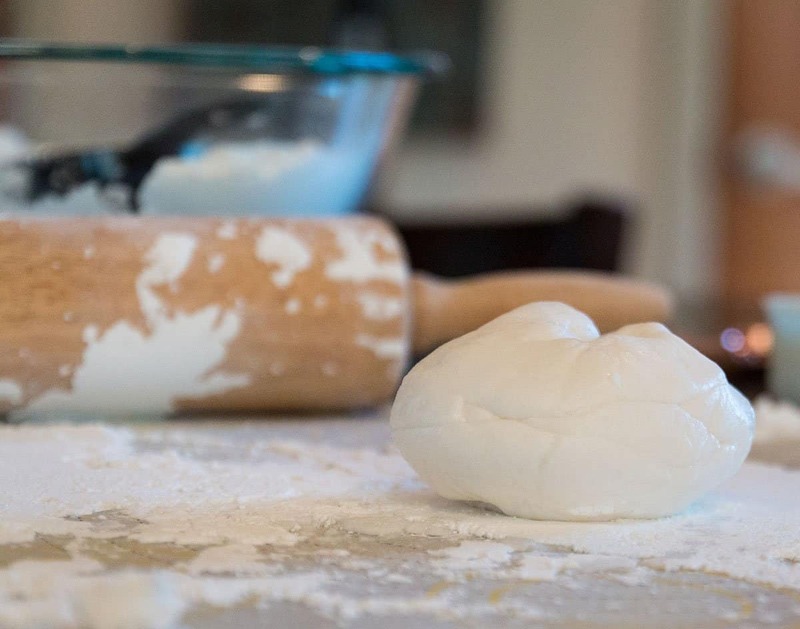 Is your dough really dry? Are you sure? If it is, here’s the time to let your creativity shine. Using fine-point edible ink markers, decorate your hearts with some of your finest Mom wisdom. My own hearts contain such gems as “Do Laundry”, “Read Books”, and “Flu Shot”. I added a few hearts that said loving things like “You Rock”, “Miss You”, and “Call Me” too. And there you have it! I’m packaging my hearts into a little baggy and sending them up in a care package that includes a roll of quarters and some other college necessities. Don’t spoil my surprise! And let me know if you make these – I’d love to know your bits of wisdom. Here’s a complete list of the ingredients and supplies I used to create this project.